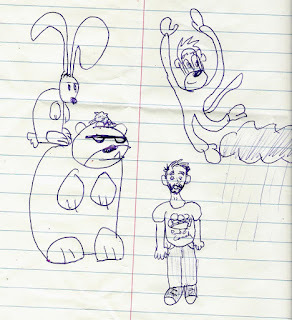 From the Ponder Couch: New P 'n E Drawing and other Drawings!!! 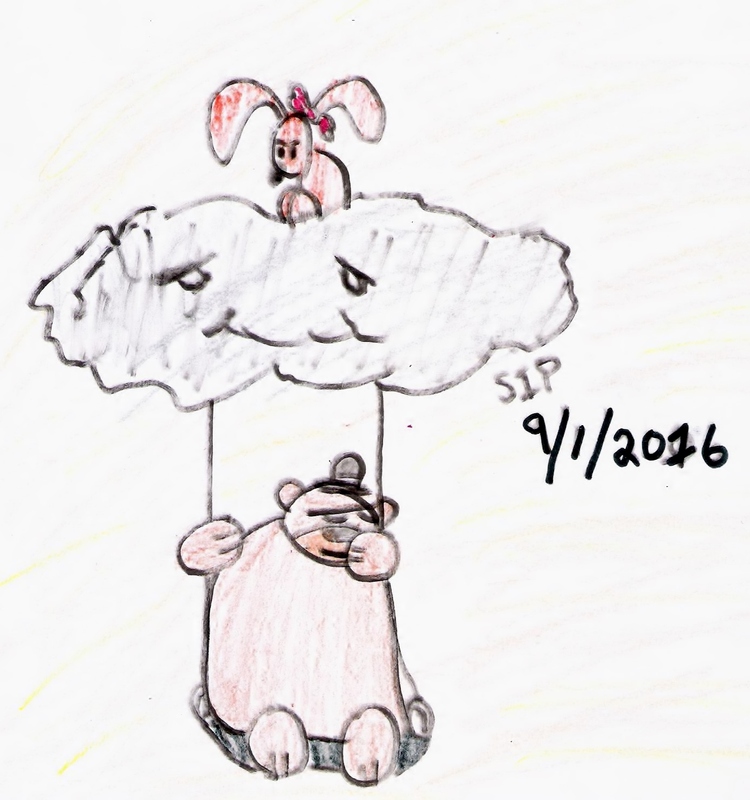 It's a bear and a rabbit and a cloud! 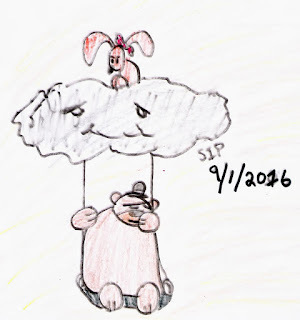 Like Claudius and Dogwood and a Ponder Cloud! You can also see this on the Ponder and Enlightening website! I hadn't done a P 'n E comic since Thanksgiving! That was far too long. Before I drew that I did some sketches! 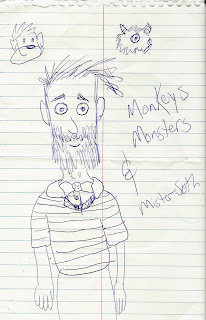 This was the first time I'd drawn the strip version of myself with a beard! 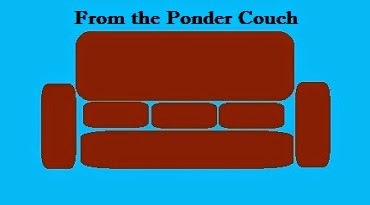 I'm wearing a poorly-sketched Ponder Couch shirt! You can get a real one here! 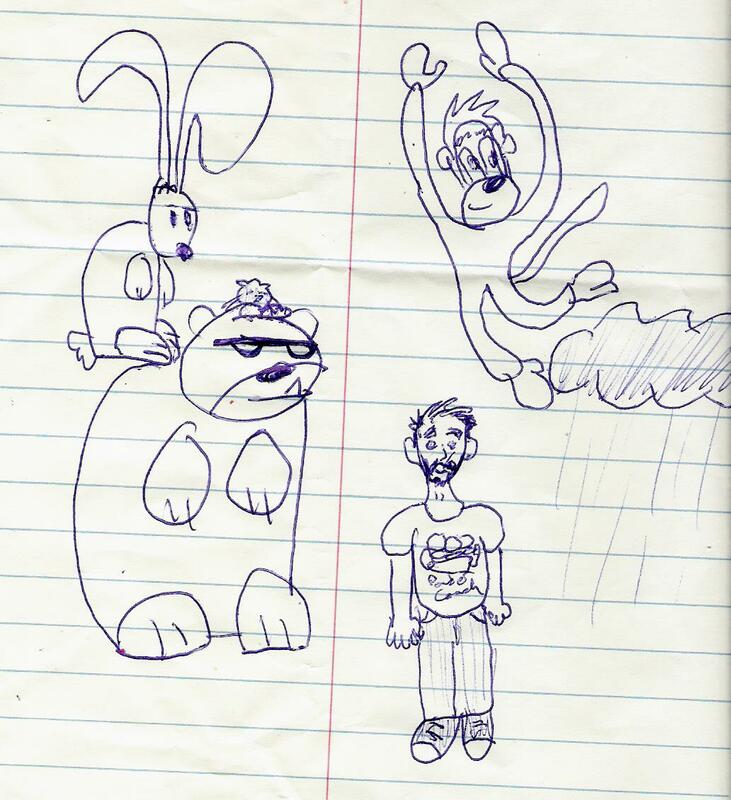 I also drew a weird MisterSeth picture. 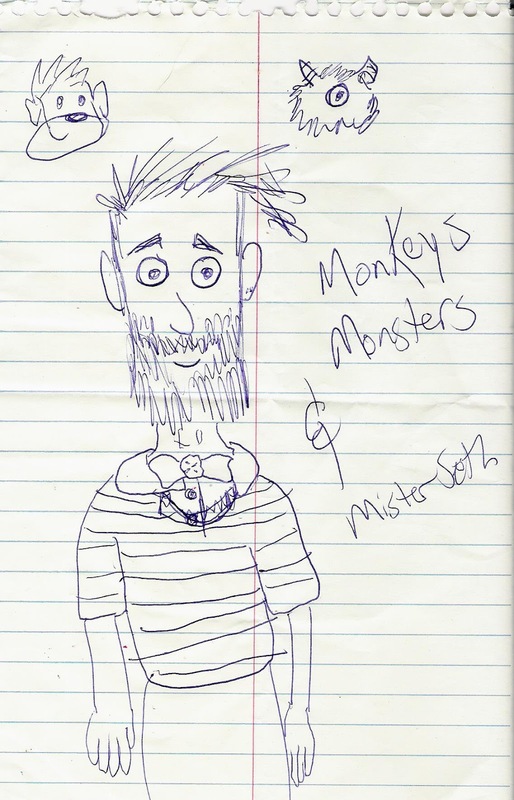 The name "Monkeys, Monsters, and MisterSeth" is what I will call my professionally-recorded MisterSeth album, if it ever gets recorded. 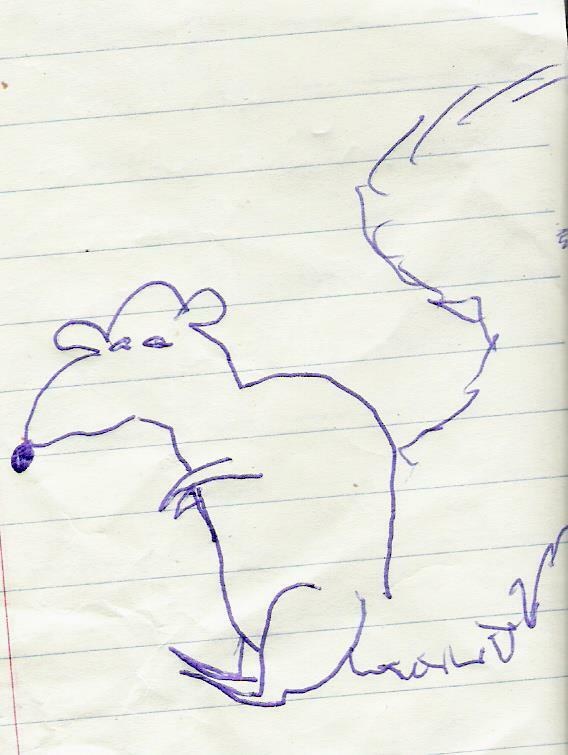 I also drew a squirrel! 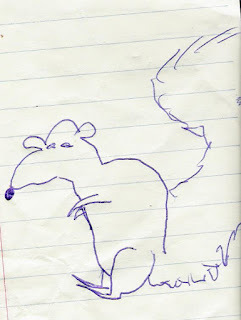 My coteacher told me it looked like Master Splinter before he mutated. I told her that was one of the most wonderfully geeky things I've heard her say. I'm so proud of her. I should draw more often. I forgot how much I enjoy it.